Persians are one of the oldest breeds of cats and they originated in Persia (now Iran) & Turkey. The breed has grown in popularity and can be found worldwide. Italian traveller Pietro della Valle introduced these cats to Europe in the 17th century and by the 1800′s the Persian had reached America. 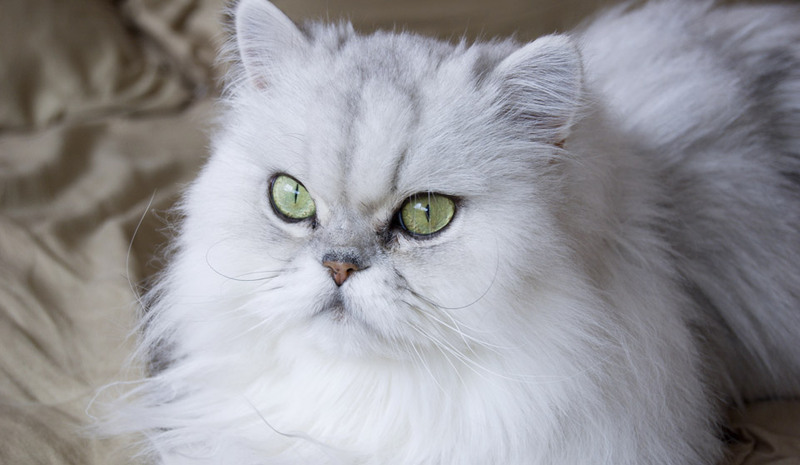 Persians have a gentle and easy going nature and enjoy relaxing around the house in the company of their owner. However, they dislike being teased so are more suitable to an adult household. This breed may not be for everyone as their long thick coat is a very high maintenance and requires daily grooming to avoid matting. Some owners opt to shave them completely. Persians shed hair all year round but heaviest shedding occurs about twice a year during moulting. Median lifespan is 12.5 years. Polycystic Kidney Disease – Slowly progressive inherited disease which leads to kidney failure. Normally seen first in cats older than seven years. It can affect over half the breed population in some countries. Brachycephalic Airway Syndrome (BAS) – A combination of anatomical features including narrow nostrils elongated soft palate and deformed throat result in breathing difficulties and require special management and sometimes surgery. Hypertrophic Cardiomyopathy – Disease of the heart muscle particularly the left hand side of the heart resulting in abnormal cardiac enlarged and eventual heart failure Dystocia – Difficulty giving birth. Malformed tear ducts – Cosmetic defect causing overflow of tears on the face. Feline Lower Urinary Tract Disease (FLUTD) – A condition that has a variety of potential causes including bacterial infection, stones in the urinary tract, cancer or idiopathic (unknown cause). It results in a combination of or in all of the following symptoms including painful, bloody urination or inability to urinate.